Did you know that 69% of Americans are classified as being overweight, with 36% being obese? Added weight on the human body over time can contribute to medical conditions, many of which are life threatening. Here are a few conditions most often associated with obesity. An average of 610,000 Americans die of heart disease each year, making it the leading cause of death in both men and women. Additional weight puts stress the entire body, most importantly the human heart. Weight loss of as little as 5-10% can dramatically reduce the risk of a future heart attack. Being overweight increases ones risk of ischemic stroke by an alarming 22%. Individuals classified as obese are at a 64% increased risk for stroke. Experiencing a stroke can cause long term damage including; difficulty in balance, changes in vision, difficulty swallowing, loss of complete bladder and bowel control, changes in communication, dementia, and even death. The CDC defines a normal blood pressure as 120/80 or less. Pre hypertension is any systolic number (first number) between 120-139 and/or diastolic number (second number) between 80-89. Stage 1 hypertension is defined as a systolic number of 140-159 and/or diastolic number between 90-99. Studies show that people who are overweight or obese account for 28% of high blood pressure diagnosis. Ongoing elevated blood pressure increases the risk of aneurysms, heart failure, stroke, dementia, kidney failure, eye damage and sexual dysfunction. Weight loss of only 5-10% can greatly reduce an elevated blood pressure. 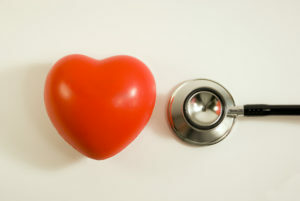 High blood pressure is one of the few medical conditions that can be reversed. People are often able to come off blood pressure medications, just by shedding a couple extra pounds. Roughly 90% of people diagnosed with type 2 diabetes have obesity. Diabetes is defined by chronic high blood glucose levels due to the body’s inability to produce enough insulin to regulate the blood sugar. Diabetes is the leading cause of blindness, kidney disease and non traumatic below the knee amputations. Type 2 diabetes is another medical condition often reversed with weight loss and lifestyle changes. Sleep apnea is a potentially serious condition often related to being overweight/obese. It is diagnosed when your breathing is interrupted continuously during sleep. Untreated sleep apnea results in the brain and the rest of the body lacking sufficient oxygen supply. If left untreated sleep apnea can result in high blood pressure, stroke, heart attacks, diabetes, depression, worsening ADHD and headaches. Weight loss of 5-10% can greatly reduce symptoms associated with sleep apnea. 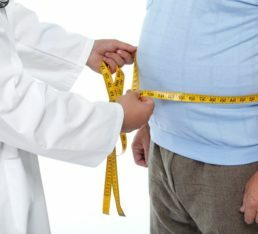 IRevive Health & Wellness, a leading Nashville weight loss provider, is committed to improving the health and well being of the Nashville community through medical weight management assistance. Our licensed practitioners specialize in providing individualized weight loss consultations, designed for long-term success. IRevive is open 7 days a week, walk-ins and appointments are both welcome. It is never too late to start improving your health!